Several years ago, when I first heard that Brian Epstein: Inside The Fifth Beatle had been made, I put in my pre-order several months ahead of time. Fortunately, I was able to scrape up the $12 at the time. I always love seeing Alistair Taylor ~ but omg, I wish he had done something about that missing tooth ~ really distracting, LOL! I would always prefer the dvd to an internet download of this movie. The extra features and all, y'know? (many times it's as little as 99 cents and free shipping). with the silly fake "rock&roll" music and stupid-looking expression frozen on Brian's face. So unlike him and so unbecoming. Amidst the Beatles' meteoric rise to fame, one man was always present in the shadows: their beloved manager Brian Epstein. Responsible for discovering not only the Beatles but Gerry & the Pacemakers and many other pop-music chart-toppers of the day, Epstein was so personally close to the Mop-Toppers that he was known to many as the unofficial fifth member of the band, hence the title of this unauthorized biographical documentary. Using archival footage of Epstein and those who knew him, "Brian Epstein: Inside the Fifth Beatle" attempts to shed light on such topics as his closeted homosexuality, his relationship with the Beatles, and his untimely death by drug overdose in 1967. Here is a short movie trailer of the movie. I agree with Eppylover. It is always better to get the DVD of any movie. But if downloading is preferable for now, the link is here. I just ordered it...I'm in my Brian-mood again, comes up several times a year, in between the real life-stress and friends and so on...then I become like Christine and go all crazy about him, dream of him etc. And I must admit, I don't think I've ever actually DREAMED about Brian. It's impossible to say why all these years that man has been sorta the backdrop of my life as I lived it these past 44 years ~ through marriages and jobs and residence moves and family and now my daughter, etc. Brian just IS, and, in becoming aware of and marginally associated with Vivek and the movie, I'm finally glad/relieved I'm not the only one who knows it and wants to make the world realize it. Does that make me crazy? Hmmmm. Maybe. Have patience with me at my worst. While the Beatles left behind countless iconic images and performances in addition to their music, do you ever wonder where their signature style came from? 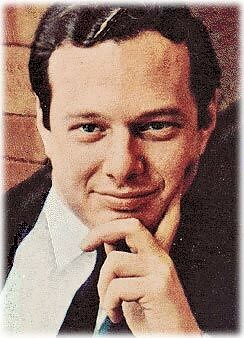 The answer is Brian Epstein, whom Paul McCartney famously called the fifth Beatle. While Epstein was slowly shaping the band's sound, the Fab Four's onetime manager also influenced their famous fashions -- most notably those signature matching suits. 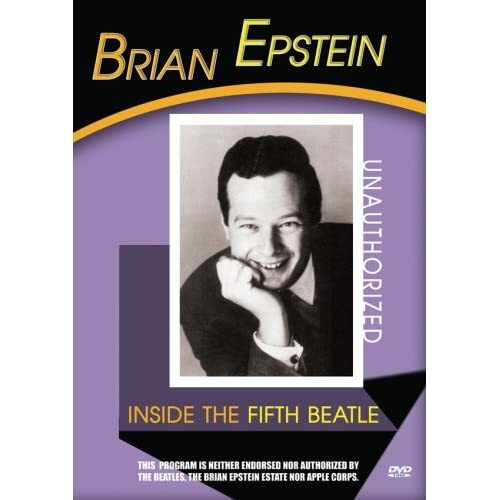 Using archived footage from the foursome's heyday plus interviews with peers and family members, the documentary Brian Epstein - Inside the Fifth Beatle, is one of the best primers for Epstein's vast contributions to the Beatles. Beginning with his start as a record store owner to his untimely death in 1967, the film could be seen as evidence that Epstein was just as influential on the band as its actual members. "That guy could smell a hit record," his assistant Alistair Taylor says in the film, "even though he didn't like pop music." For an in-depth look at one of rock history's most important yet unheralded figures, be sure to check out the documentary after the jump, courtesy of our friends at SnagFilms. So. How convenient of these people to re-release this old 2004 dvd... as if it were something new ...not a totally deceptive move, yet not really honest, either. Gee whiz, I wonder if this has anything to do with, maybe, the Beatles Rock Band, the Remasters, and the (so-called) Brian flick (which is really just another Beatles flick) that Hollywood is slapping together and calling, "A Life In The Day"...? Your eppylover is cynical these days. I also just saw a Proboards advertisement for a Beatlesfest West, which was held in San Francisco at the beginning of this month? Not that I would've had a chance to go (I know Yerblues68 has been to some), but you wonder if anyone would've had any Eppy items or spoken about Brian there? Yes, I heard about the new Beatlesfest West. It does not surprise that it took place in San Francisco. 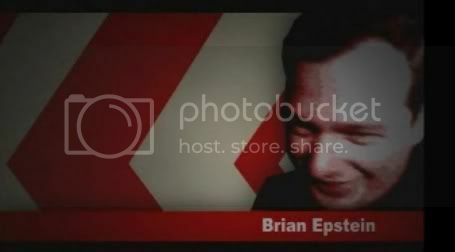 The city did hold a parade in honor of Mr. Brian Epstein years back by the gay community. Plus, The Beatles did have a concert at the former Candlestick Park. Oh, and by the way, I had gone to only one Fest for The Beatles Fans Convention and that was for one day last year when it was held in Chicago, Illinois in August. I had to hurry back home that evening. Chicago is extremely hot in the summer, but thankfully I stayed indoors at the hotel convention. That is where I got the Beatles Monopoly game!